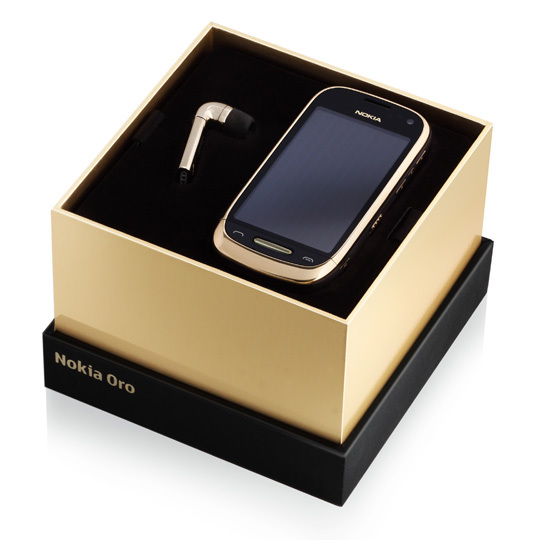 Finnish mobile giant Nokia has announced a new premium Symbian smartphone, the Nokia Oro, a device that is incorporates 18-carat gold plating, a sapphire crystal and leather lining, as well as a number of high-quality features. 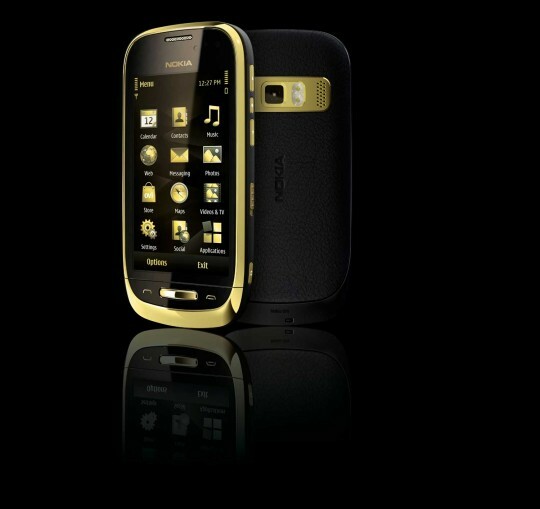 The Oro will be available in select markets, running the latest Symbian Anna update. It will support HSDPA 3G and WiFi and sports a 3.5-inch AMOLED display an 8-megapixel camera with 720p video recording. The Nokia device holds upto 8 GB internally but also has a microSD card slot, offering talktime of around 10 hours. The device is likely to appeal to Russian, Chinese and Middle Eastern markets, where Nokia says premium smartphones such as the Oro are most likely to appeal. The device will come in two variations; white and gold as well as black and gold. It will launch in the third-quarter of 2011 and will cost around €800.